”Organic vegetables have become a serious business and mature market, thanks in part to Millennials (those born between 1980 and 2000). They are ‘choosey’ consumers who are looking for tasty, healthy and environmentally friendly vegetables, and they are prepared to pay good money for them. The days of maggot-ridden apples are over for good. Today’s consumers want truly stand-out quality products that look different. Growth in organics is also being driven by those discerning consumers who want to know where their food comes from. They are mainly concerned about food safety. They choose organic because they don’t want any chemicals on their fresh produce. We’re not only seeing this trend in developed markets, but also in Latin America, Asia, the Middle East and Africa. The growing middle classes want to be certain that their food is safe to eat, so even supermarkets in countries like Ghana and Peru have a section selling organic products. All retailers are responding to the trend, and in fact they are keen to expand their organic product range because the market is nowhere near saturated yet. However, they can’t afford to have empty shelves. Product supply is the biggest challenge in this growing market, and this offers a great opportunity for growers. It takes two or three years for a grower to switch to organic production, so it’s an investment of time and money. At Rijk Zwaan we can help growers both during and after the transition, because we have a team of crop specialists who are experienced in organic production, and that help extends beyond just technical advice – we regularly put organic growers in contact with retailers, because our chain managers know both the market and its companies well. 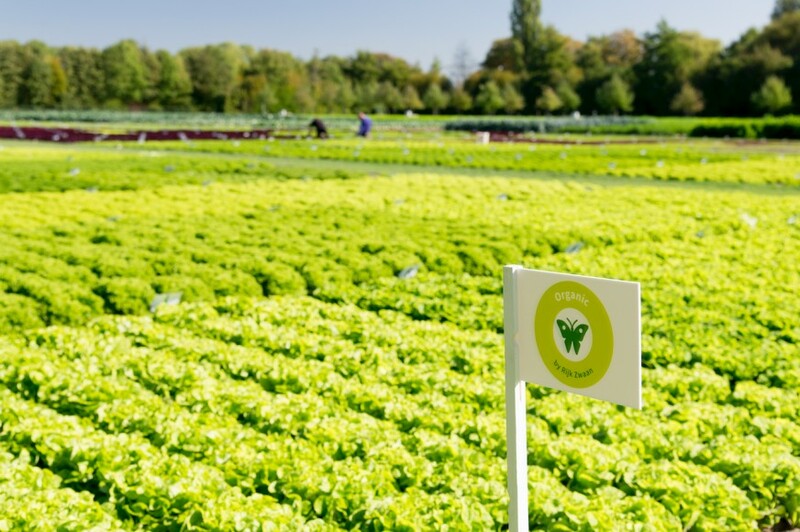 Rijk Zwaan has a large organic range; close to half of our total assortment is available for organic production, covering all main greenhouse products, lettuce, spinach and many other crops. Some of our seeds are organically produced and others are non-chemically treated. We strive to further improve our organic offering every year. 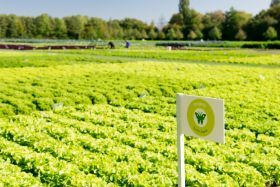 Varieties must be resistant against diseases and pests, as well as strong and robust, but organic vegetables must also have an excellent flavour and appearance. After all, consumers are critical. They expect tasty products that are also visibly different, such as our striped aubergine Angela RZ, our plum truss tomato Wasino RZ or our Sweet Palermo sweet pointed peppers.